Wish no more for all your wishes come true when you see yourself in this San Remo lakefront 3BR, plus flex space, used as a sitting area or home office, 2 full baths and a powder room. 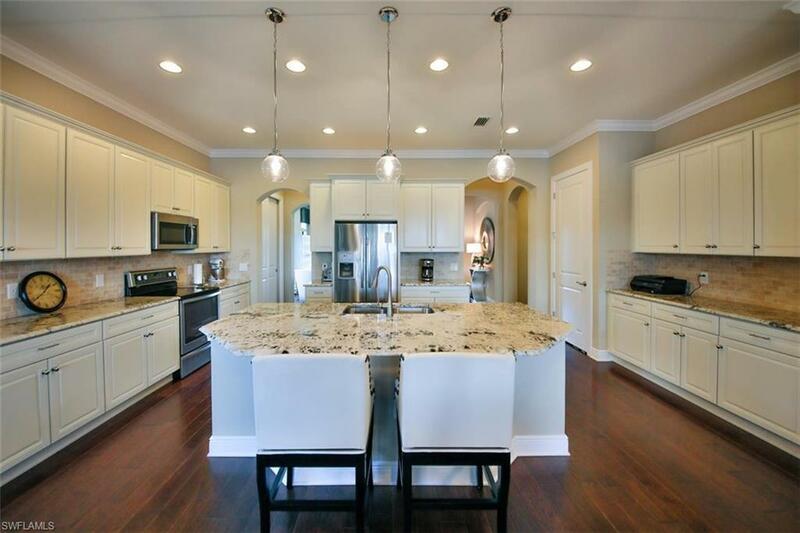 A home where your family wont feel cramped in this spacious 2,250 sq. 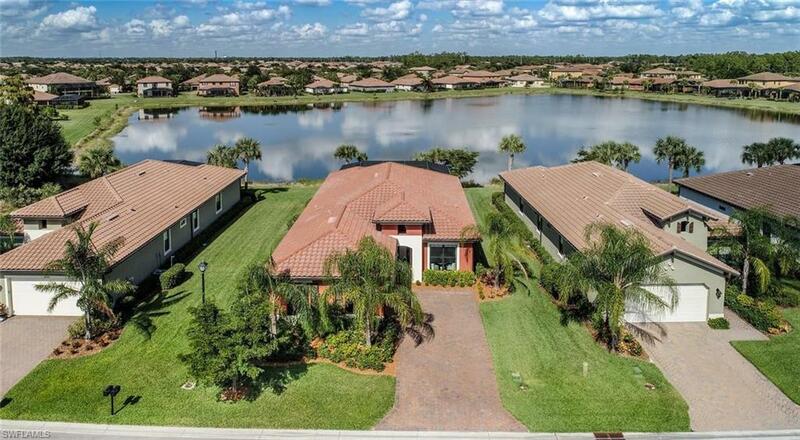 ft open living floor plan, with great room, dining and kitchen having full view of the lake and enclosed lanai pool area. Wood laminate flooring throughout main living areas, crown molding, tray ceilings, and impact resistant windows, two-car garage, and TAEXX tubes pest control system. 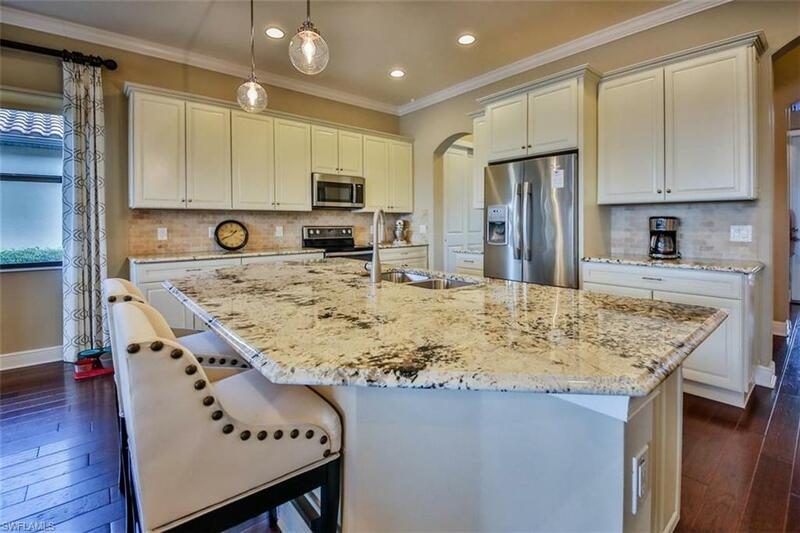 Dream kitchen with every conceivable built-in, granite counter tops, stainless steel appliances, large island, plenty of cabinets for storage, and pantry. Large master suite, master bathroom with tile flooring, walk-in closet, granite counter tops, glass shower enclosure, Moen faucets. Hampton Park amenities include a magnificent resort-style pool, community clubhouse, billiards, state-of-the-art fitness center, playground, bike path, aerobics studio, and basketball court. 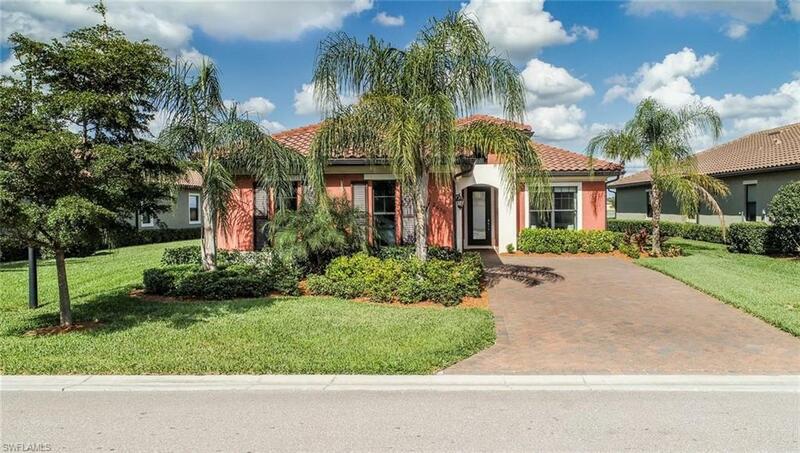 Close to beaches, shopping, Boston Red Sox and Minnesota Twins Spring Training parks. Its one house youll want to call home!